When you have a parent who is popular in the entertainment sphere, it is always very hard to make a name for yourself in the sense that people will often see you as the offspring of a famous person. That is also the plight of Corinne Foxx who although is an actress and a model, is first regarded by many as the daughter of Jamie Foxx. She appeared in some productions including Sweet/Vicious and has modelled for a number of brands including Ralph Lauren and Dolce & Gabbana. Corinne Foxx was born on February 15, 1994, as Corinne Marie Bishop to Jamie Foxx and Connie Kline. She went to Sierra Canyon School where she was a cheerleader. In 2011, she made the cover of American Cheerleader. After her high school, Foxx went to the University of Southern California where she studied Public Relations. She was also a cheerleader there. Next, she went to the Howard Fine Acting Studio where she studied acting and then the American Academy For Dramatic Arts in Los Angeles. Born into entertainment, she made she appeared in The Jamie Foxx Show when she was only 6 and since then, she would keep appearing in public with her father. Not only would she later toe the path of her father by becoming an actress, but she would also follow his path with regards to the name he chose professionally. Jamie Foxx was born Eric Marlon Bishop but when he was set to begin his career as an actor, he changed his name to Jamie Foxx. In 2014, the model also changed her surname by dropping Bishop for Foxx. In 2016, she made an appearance in Sweet/Vicious before going on to serve as Miss Golden Globe in the same year. Prior to that, she started her modelling career in 2014 and has worked for some popular brands such as Kenneth Cole, Ralph Lauren, Wet ‘n’ Wild cosmetics, and Dolce & Gabbana. In 2016, she made her New York Fashion Week debut when she walked for Kanye West’s Yeezy line. In 2017, she walked for Sherri Hill’s Spring 2018 line. Most recently, Foxx made an appearance in All-Star Weekend (2018) which is the first film directed by her father. Since 2018, she has been the presenter of the American television game show, Beat Shazam which is in its second season. 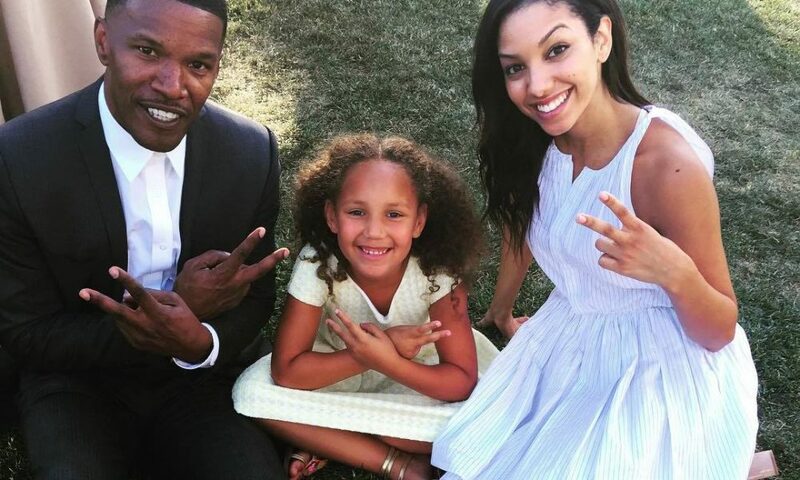 More than 20 years since Corinne Foxx was born, her mother had remained a mystery to almost everyone because she was neither in Hollywood nor had Jamie Foxx made her public. However, in 2016, RadarOnline finally solved the mystery after it revealed that from an investigation that ran for 4 months, it found out that the mother of the actress is Connie Kline who is a tax preparer. 47-years old at the time, Kline was said to have been involved with the Django Unchained actor in the 1990s and that resulted in their daughter. Connie Kline was pictured driving a black Mercedes Sedan which was listed under the actor’s name. More so, she was said to have a property outside of Los Angeles that is worth $500,000. An air force veteran, Kline said she kept silent for 22 years because of how much she cherished her privacy. Regarding her personal life, the model has a boyfriend. Since 2015, Corinne has been in a relationship with Austin Lantero. Not someone famous, Austin met the model when they were both in the USC. As of the start of 2018, the two were not only together. She has shared his pictures a number of times on her social media. Inasmuch as her mother has been out of the public eye, Corinne Foxx has always maintained a good relationship with her father since she was little. The two have been stepping out together since 2001 – they attended the premiere of Disney’s “Atlantis: The Lost Empire.” From then onwards, they kept appearing on red carpets at all sorts of events, including the Oscars and Grammys together. When they attended Ellen Degeneres show together, the two made a rabbit face and Jamie joked that it was because Corinne could make the face that he knew she was his. Apart from the close relationship that Jamie and Corinne maintain, they are both also close to Jamie’s daughter, Annalise Bishop who was born to him by Kristin Grannis in 2009. Not necessarily on the tall side, Corinne Fox still has an average height. She stands at ‎5 feet 7 inches (1.7 m). The African-American beauty also maintains a slim body build to perefct her height.